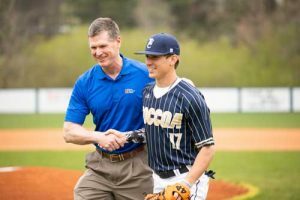 On Thursday, March 14th, the Toccoa Falls College Screaming Eagles baseball team hosted Southern Wesleyan University from Central, SC. Prior to the game, First Citizens Bank was recognized and thanked by TFC for their recent donation to the college. 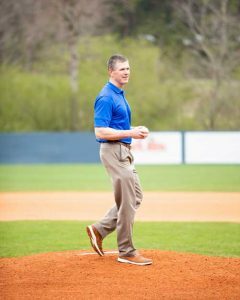 In January, First Citizens Bank of Toccoa generously donated to the construction of one of the new press boxes on the TFC baseball field. 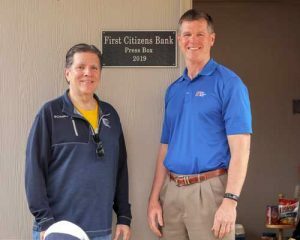 The box is now named the First Citizens Bank Press Box. 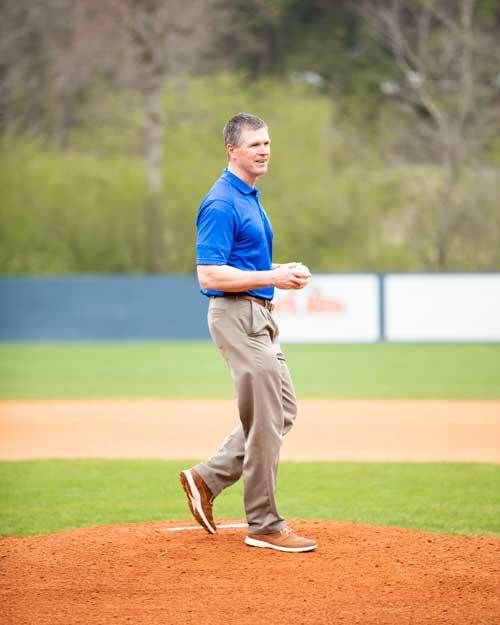 In honor of the event, Tommy Moon, Vice President, Financial Sales Manager for First Citizens Bank threw out the first pitch of the game before an excited crowd of hometown fans and visitors. 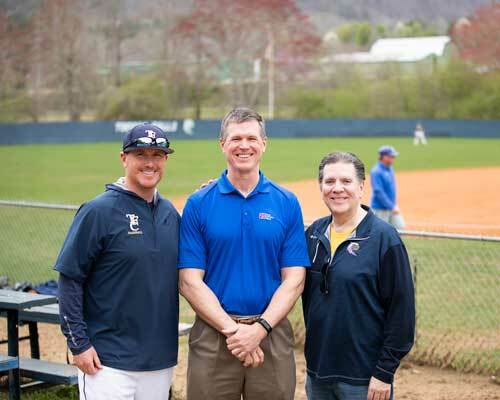 Pictured are (left to right) Jeff Mullikin, TFC Baseball Coach, Tommy Moon, Vice President, Financial Sales Manager, First Citizens Bank; and Dr. Robert Myers, President of Toccoa Falls College. Photos courtesy of The Mullikin Studio.